At Friday's opening price, the company was worth $228 billion, more than Amazon, eBay and even Facebook. 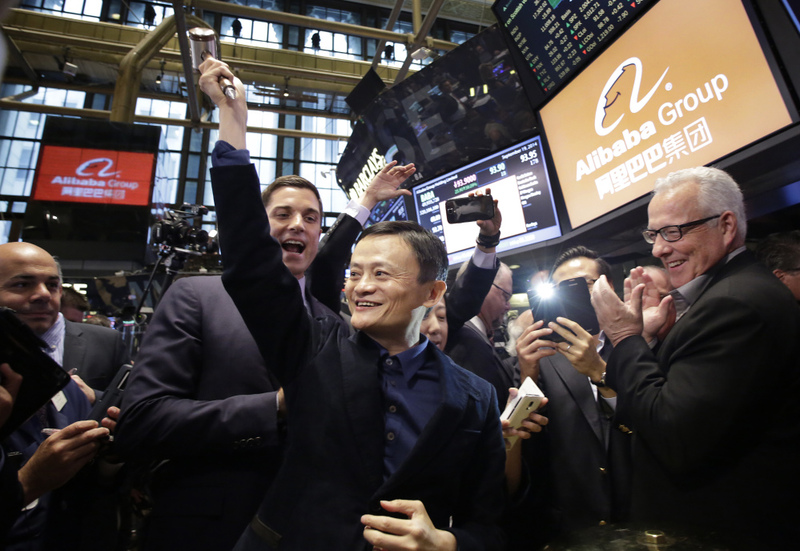 NEW YORK — Alibaba debuted as a publicly traded company Friday and swiftly climbed nearly 40 percent in a mammoth IPO that offered eager investors seemingly unlimited growth potential and a way to tap into the burgeoning Chinese middle class. A hunger for shares sent the market value of the e-commerce giant soaring well beyond that of Amazon, eBay and even Facebook. The initial public offering was on track to be the world’s largest, with the possibility of raising as much as $25 billion. 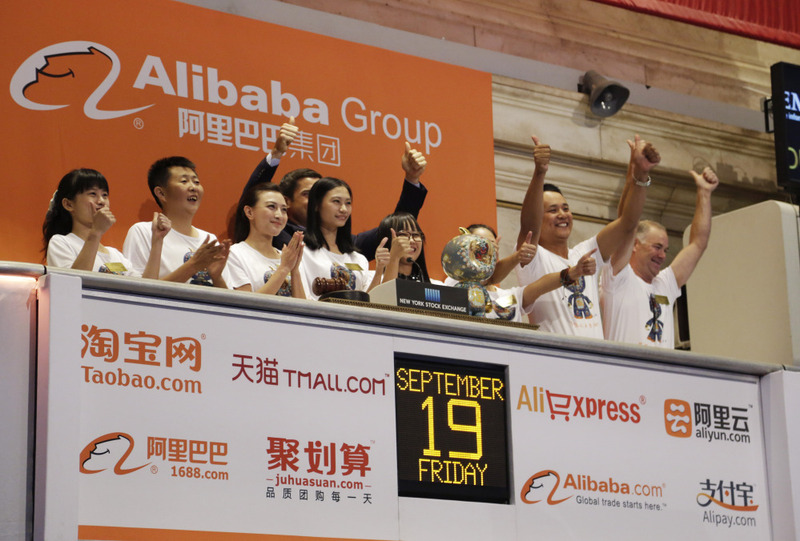 Jubilant CEO Jack Ma stood on the floor of the New York Stock Exchange as eight Alibaba customers, including an American cherry farmer and a Chinese Olympian, rang the opening bell. The company’s online ecosystem stands apart from most e-commerce rivals because it does not sell anything directly, preferring to connect individuals and small businesses. It enjoyed a surge in U.S. popularity over the past two weeks as executives made sales pitches based on Alibaba’s strong revenue and big ambitions. “There are very few companies that are this big, grow this fast and are this profitable,” Wedbush analyst Gil Luria said. Trading under the ticker “BABA,” shares opened at $92.70 and hit nearly $100 within hours. By the end of the day, the stock rose $25.89, or 38 percent, to close at $93.89. Some institutional investors, such as banks or hedge funds, were able to buy the stock at $68 per share, the amount set Thursday evening. Most other investors had to wait until shares started trading publicly, which meant paying a much higher price after adjustments for demand. 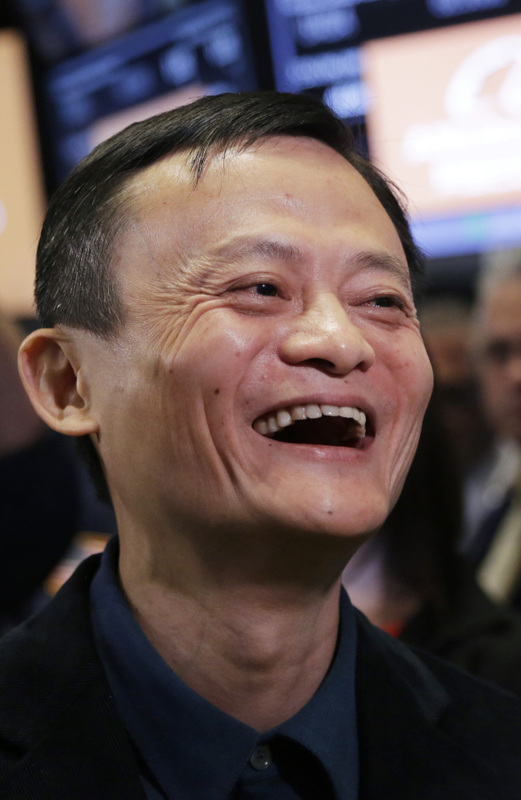 Alibaba has said it plans to expand into emerging markets and, eventually, into Europe and the U.S.